The cuts will impact 3,000 jobs, half of which are expected to be placed in other positions. An additional 600 jobs will be lost in back-office operations, while 750 workers will go through the closing of a call centre. About 36 stores will also be closed by early spring of this year. The company expects a 2.7% drop in same-store sales for the year to January, more than the up to a 2.2% decline it had initially forecast. “In light of our disappointing 2015 sales and earnings performance, we are making adjustments to become more efficient and productive in our operations,” said chief executive Terry J. Lundgren in a statement. Macy’s is the US’s biggest department store chain and operates upscale retail chain Bloomingdale’s. A strong US dollar, low spending by tourists, warm weather and a glut of unsold inventory are being blamed for its disappointing performance over the key winter holiday season. Consumer spending habits have also changed as people spend more money on travel and electronics and less on discretionary items such as clothing and cosmetics. The retail giant has also been hit hard by deep discounts from e-commerce giants such as Amazon and low-cost rivals such as TJ Maxx. 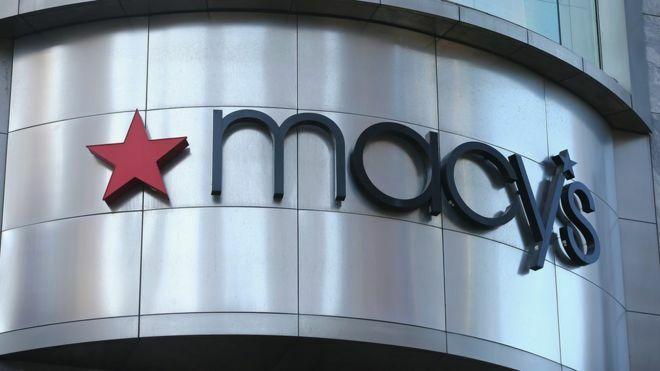 Macy’s said the job losses and store closures would mean a saving of $400m (£273m). Last year, the company announced plans to close up to 40 stores in the US in early 2015. Macy’s shares were up more than 3% in after-hours trading as investors digested the news of the cost savings.